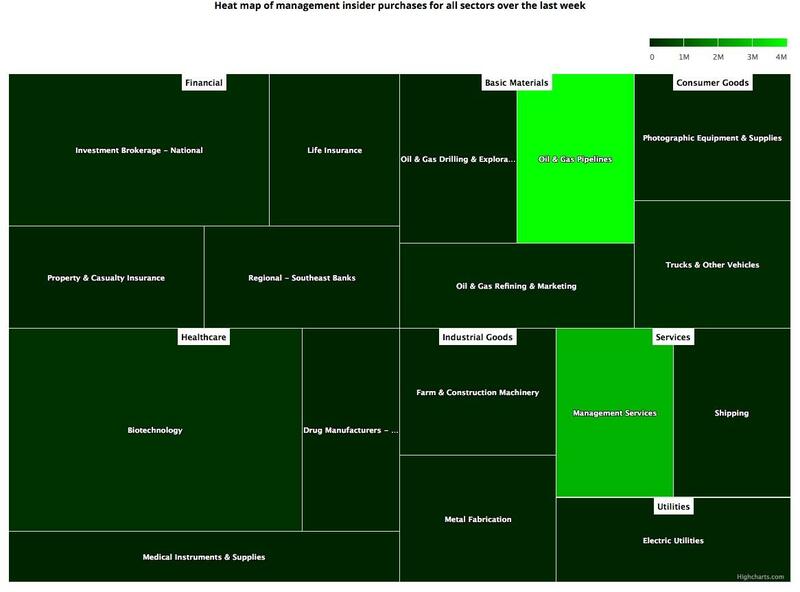 Insider buying increased significantly last week. Notable Insider Buys: Kinder Morgan, Inc., Landec Corporation, Abeona Therapeutics Inc., Ladenburg Thalmann Financial Services Inc., Galectin Therapeutics, Inc. Notable Insider Sales: Facebook, Inc., Take-Two Interactive Software, Inc., Symantec Corporation, Shake Shack Inc., CarGurus, Inc.
With first-quarter 2019 earnings just around the corner, both insider buying and selling remain muted and will most likely pick up over the next two to three weeks. Insider buying increased significantly last week with insiders purchasing $88.58 million of stock compared to $27.16 million in the week prior. Selling, on the other hand, declined with insiders selling $482.22 million of stock last week compared to $747.39 million in the week prior. 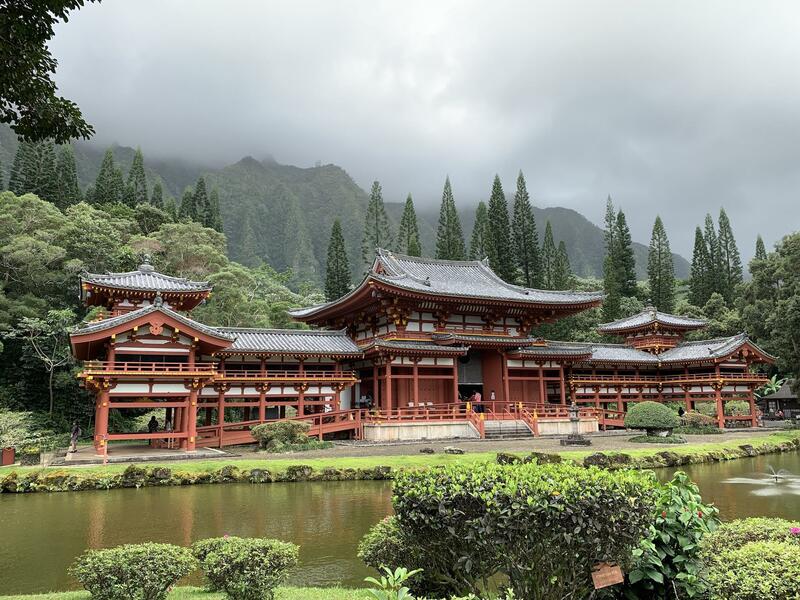 During this slow week for insider purchases, I figured I would share a picture of the Buddhist temple Byodo-In that I took last week while visiting the Hawaiian island of Oahu. Sell/Buy Ratio: The insider Sell/Buy ratio is calculated by dividing the total insider sales in a given week by total insider purchases that week. The adjusted ratio for last week dropped to 5.44. In other words, insiders sold more than 5 times as much stock as they purchased. The Sell/Buy ratio this week compares favorably with the prior week, when the ratio stood at 27.52. Note: As mentioned in the first post in this series, certain industries have their preferred metrics such as same-store sales for retailers, funds from operations (FFO) for REITs and revenue per available room (RevPAR) for hotels that provide a better basis for comparison than simple valuation metrics. However, metrics like Price/Earnings, Price/Sales and Enterprise Value/EBITDA included below should provide a good starting point for analyzing the majority of stocks. Executive Chairman Richard D. Kinder acquired 175,200 shares of this oil & gas pipelines company, paying $19.74 per share for a total amount of $3.46 million. Mr. Kinder increased his stake by 0.07% to 238,894,693 shares with this purchase. Director Nelson Obus acquired 60,000 shares of this farm products and packaging company, paying $10.33 per share for a total amount of $619,900. These shares were purchased indirectly by Wynnefield Capital, Inc.
Director Stefano Buono acquired 70,000 shares, paying $7.80 per share for a total amount of $546,250. Director Stephen B. Howell acquired 4,000 shares, paying $7.77 per share for a total amount of $31,080. Mr. Howell increased his stake by 5.30% to 79,494 shares with this purchase. Director Michael Liebowitz acquired 22,902 shares, paying $3.10 per share for a total amount of $70,933. Mr. Liebowitz increased his stake by 13.20% to 196,398 shares with this purchase. CEO, President & Chairman Richard Lampen acquired 20,000 shares, paying $3.24 per share for a total amount of $64,740. Mr. Lampen increased his stake by 0.67% to 2,988,671 shares with this purchase. 10,000 of these shares were purchased indirectly by Mr. Lampen's wife. Executive VP and COO Adam Scott Malamed acquired 15,000 shares, paying $2.93 per share for a total amount of $43,987. Mr. Malamed increased his stake by 1.02% to 1,478,541 shares with this purchase. Executive Vice President Mark Zeitchick acquired 10,000 shares, paying $3.38 per share for a total amount of $33,768. Director Glenn C. Davis acquired 5,000 shares, paying $2.93 per share for a total amount of $14,642. Mr. Davis increased his stake by 16.67% to 35,000 shares with this purchase. Director Richard E. Uihlein acquired 41,700 shares, paying $4.82 per share for a total amount of $200,823. Mr. Uihlein increased his stake by 1.61% to 2,628,489 shares with this purchase. Director Joel Lewis acquired 667 shares, paying $4.82 per share for a total amount of $3,214. Mr. Lewis increased his stake by 1.02% to 65,800 shares with this purchase. Director Kevin D. Freeman acquired 500 shares, paying $4.73 per share for a total amount of $2,365. These shares were purchased indirectly by a limited liability company wholly-owned by Freeman Global Holdings. COB and CEO Mark Zuckerberg sold 222,952 shares for $177.59, generating $39.59 million from the sale. These shares were sold indirectly by various trusts and entities. VP and General Counsel Colin Stretch sold 750 shares for $178.25, generating $133,688 from the sale. Chairman, CEO Strauss Zelnick sold 144,614 shares of this videogame company for $94.05, generating $13.6 million from the sale. These shares were sold indirectly by Zelnick Media Corporation. President and CEO Gregory S. Clark sold 636,209 shares for $23.69, generating $15.07 million from the sale. Director Suzanne M. Vautrinot sold 18,000 shares for $24.01, generating $432,160 from the sale. These shares were sold indirectly by a trust. Director Jonathan D. Sokoloff sold 250,000 shares of this restaurant chain for $58.36, generating $14.59 million from the sale. These shares were sold indirectly by Green Equity Investors VI, L.P.
CEO and Chairman Langley Steinert sold 130,456 shares for $40.51, generating $5.28 million from the sale. 13,047 of these shares were sold indirectly through a trust. Director Anastasios Parafestas sold 126,600 shares for $40.28, generating $5.09 million from the sale. These shares were sold indirectly by various trusts and entities. Chief Product Officer Thomas Michael Caputo sold 5,353 shares for $41.33, generating $221,239 from the sale. Additional disclosure: Disclaimer: Please do your own due diligence before buying or selling any securities mentioned in this article. We do not warrant the completeness or accuracy of the content or data provided in this article.